Wow. Time travel, space relocation, dead people, dramatic rescue, dramatic reunion, dramatic death and seeing a brother in another life. It all happened. With 2 seasons left until LOST is found, we're starting to see the finish line -- with a few loose ends that may not be that significant -- and Season 4 ended as it bang, astoundingly, breath-takingly confusing, mind-numbing and addictively awesome. So, I'm trying to formulate a theory, but I think I'll just look at the new viral site. Locke is the rightful heir of the island (Ben was merely his placeholder -- his brothers keeper if you will). There's a very Jacob and Esau, birthright feel to Ben and John. Was Hurely really playing chess with Mr. Eko? Why did Claire warn Kate not to go back? Is Christian Shepherd a literal "shepherd" -- taking people back to their "true' time and place? Where did the island go!? Will Ben be able to lead them back? I know I missed a ton, but -- any thoughts out there? Comments for "Recap: LOST (S4E13)"
Yeah, the fight scene was intense; loved it. I'm still unsure what Ben did; and how he knew that he could get to that lever (since there was a wall there and all). I'm also wondering where Ben went (place and time) after the island vanished -- I'm guessing that's how he just ended up in the desert. I loved the ripple of waves in the ocean after the island "jumped" (to borrow a Battlestar phrase). There are still questions that I hope we find out. Where is Cindy? Where are the children that were taken in season 1? Where is the island now? Polar Bears? Is the Smoke Monster its own creature or is it controlled? What are the whispers? Purple sky? What the heck was the monster that ate the pilot in the Pilot? But it's a fricking great show! 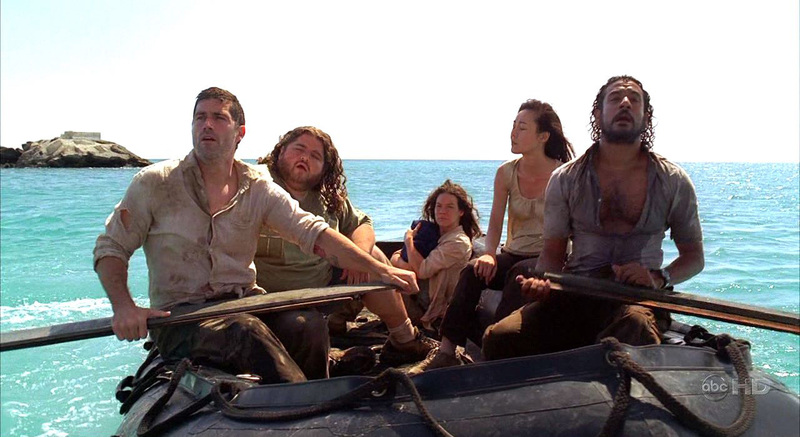 Comments are turned off for "Recap: LOST (S4E13)"